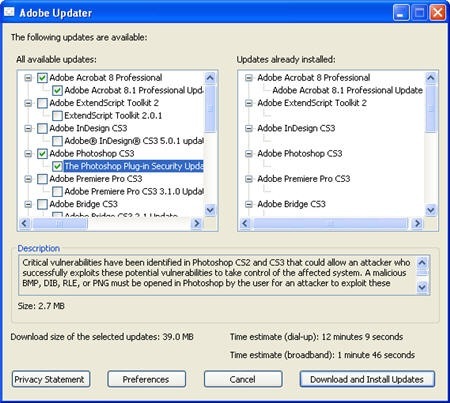 There are two way to update your favorite Adobe software. You can either open any Adobe program (like Dreamweaver, Indesign, Acrobat, etc) and select “updates” from the Help menu. Alternatively, you can manually run the Adobe Update installer located in c:\Program Files\Common Files\Adobe\Updater5\AdobeUpdater.exe. 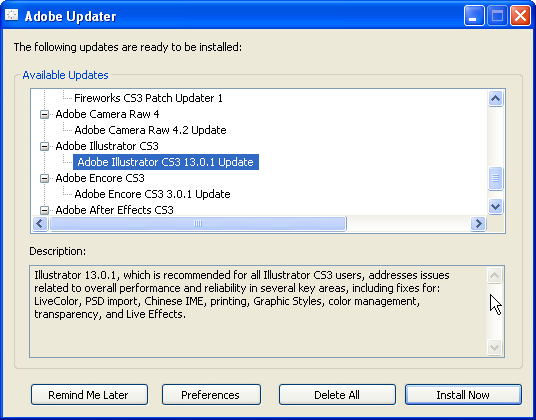 Once the updater has done check for software updates available on the Adobe Download website, you can picks the ones that you want to download and install. Here’s a quick walkthrough in screenshots. Find Keyboard Shortcuts for all your Adobe Software in one place!